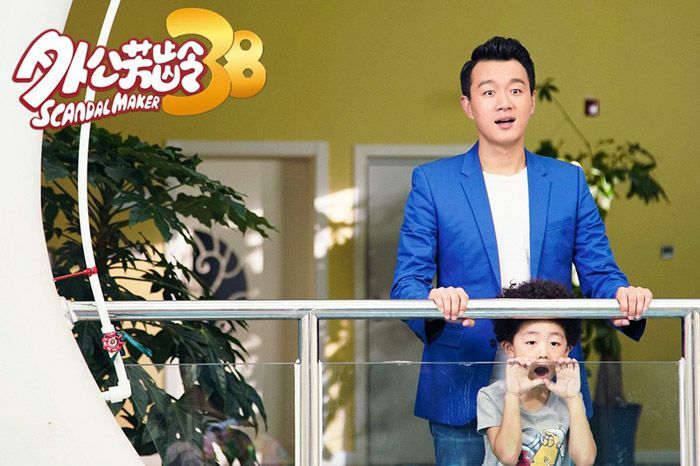 =======> ♦ Romantic comedy, Scandal Maker (外公芳龄38), with Michelle Chen, Tong Da Wei, and drops new stills and teaser. That kid is so stinkin’ cute! 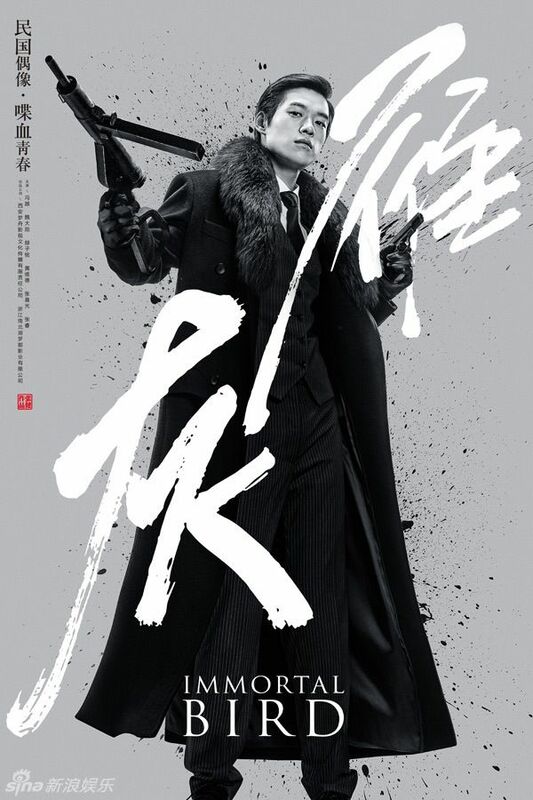 =======> ♦ New trailer for Railroad Tigers (铁道飞虎) with Jackie Chan, Nick Wang Kai, Darren Wang, and Huang Zi Tao. 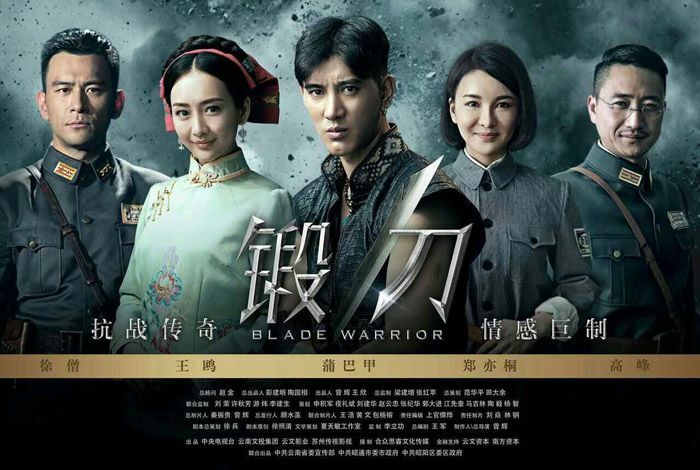 =======> ♦ Republican drama, Blade Warrior (锻刀), with Purba Rgyal and Angel Wang Ou premiered on October 1st. 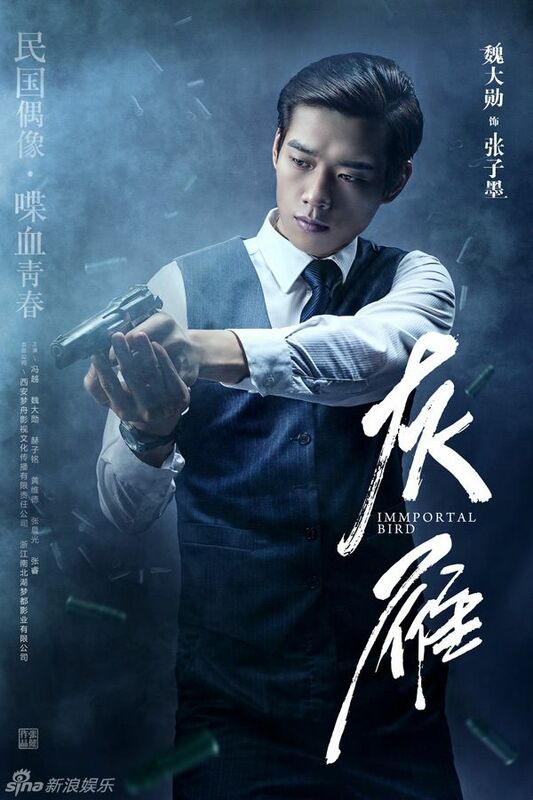 =======> ♦ Spy drama, Immortal Bird (灰雁), with Feng Yue and Wei Da Xun. Ever notice why these spy dramas like to be named after birds? The main actress is very young, born in 1993! Graduated from Shanghai Theater Academy and was in The New Snow Leopard with Zhang Ruo Yun. The trailer looks really good for an idol spy drama and she kicks butts. 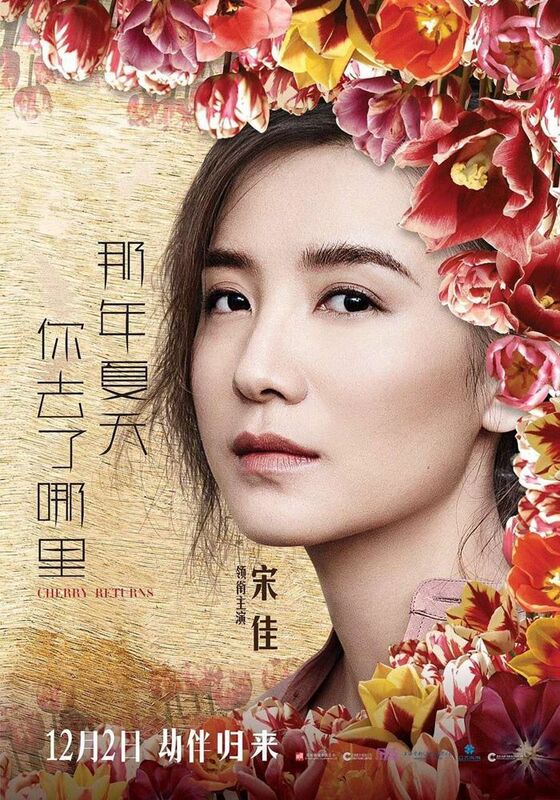 =======> ♦ Flowery Posters for Cherry Returns (那年夏天你去了哪里) with Song Jia, Cherry Ngan, Gordon Lam, and Hu Ge. 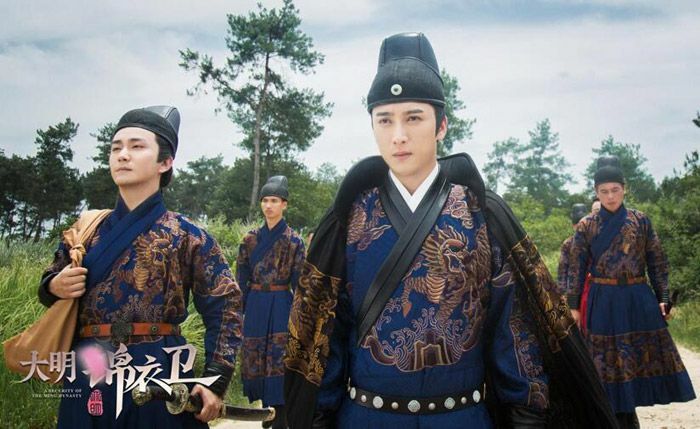 =======> ♦ Our Ba Ye aka actor Ying Hao Ming has a costume drama Da Ming Jin Yi Wei (大明锦衣卫). 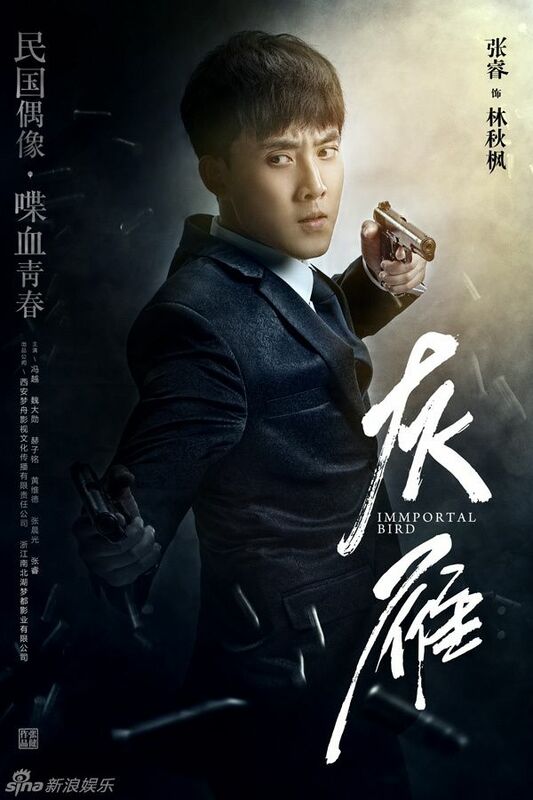 Jin Yi Wei was the imperial military secret police that served the emperors of the Ming dynasty in China [Wiki]. 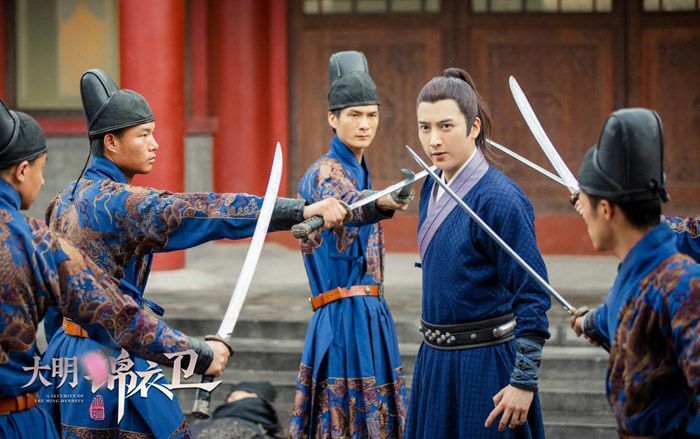 Like Zhang Han’s The Four. They might even be using the same outfits. Lol. VIP on Qiyi on 9/16/16. =======> ♦ Ariel Lin recently cut her hair and surprised reporters when she attended a press conference for My Egg Man. They can’t believe she doesn’t look a day older. Fountain of youth!! This woman!! 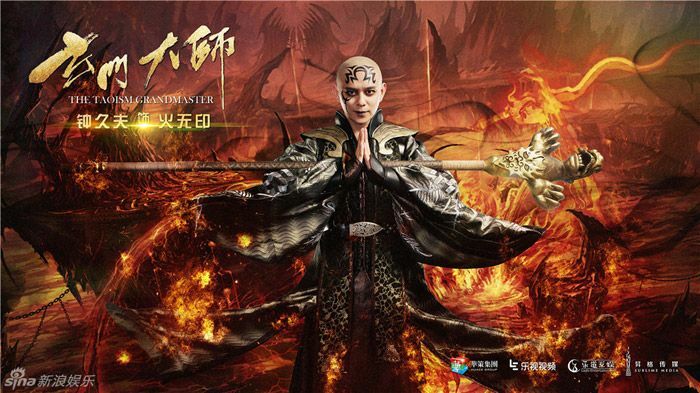 =======> ♦ Opening and Ending Theme to Legend of Ravaging Dynasties. 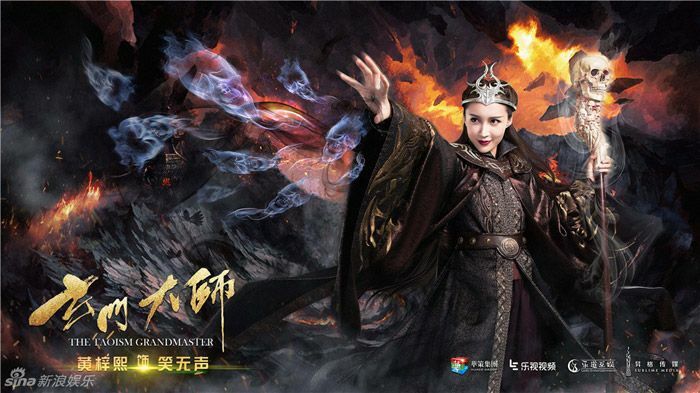 =======> ♦ Fantasy Drama The Taoism Grand Master (玄门大师) led by Guo Jin with a line of 29 new faces drops new posters. The story tells the journey of a group of youngins working together to save humankind from being destroyed. 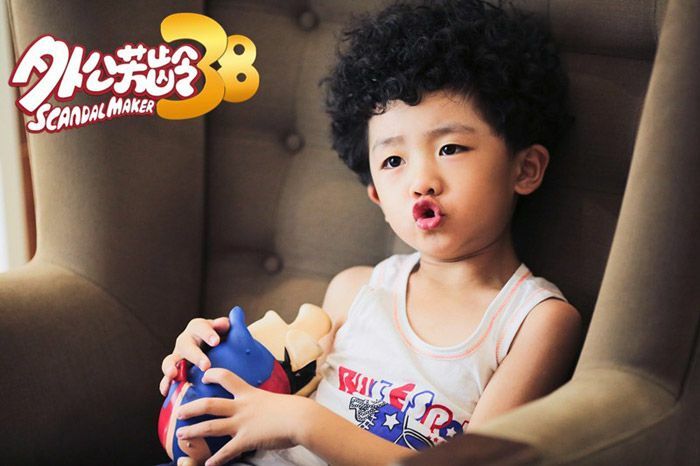 Tong Meng Shi (Proud of Love) is part of the humongous promoted newbies. =======> ♦ Taiwanese Movie 10,000 Miles (一萬公里的約定) with Sean Huang, Megan Lai, and Darren Wang drops promos. To hit theaters on 12/16/16. OMG. Where did that find the adorable Sean?! He looks so tiny! 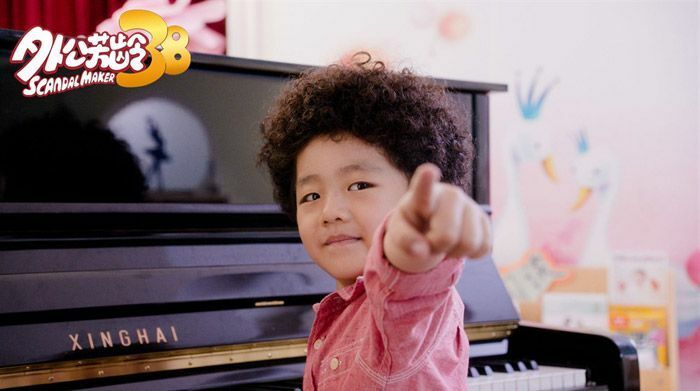 =======> ♦ This week on music show, Master Class, a young prodigy (only 11) performs “Lake Baikal”, awing the entire audience with his soulful rendition. Recall that this song was used as Wu Xin The Monster Killer‘s themesong. Amazing. Must watch! =======> ♦ New teaser for TFBoys‘ new music video, “It’s You”. 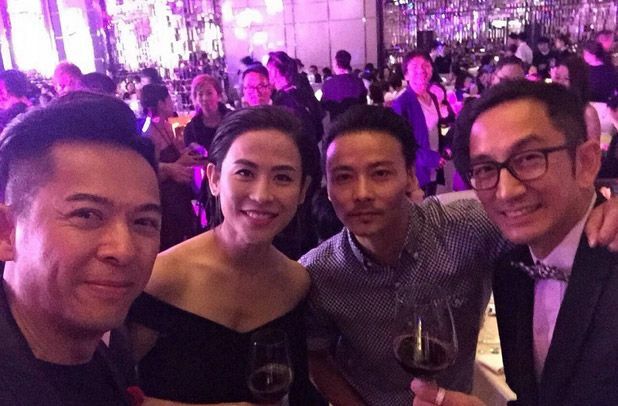 =======> ♦ And I would be remiss if I didn’t mention the star-studded wedding between TVB actors Him Law and Tavia Yeung on October 2nd. 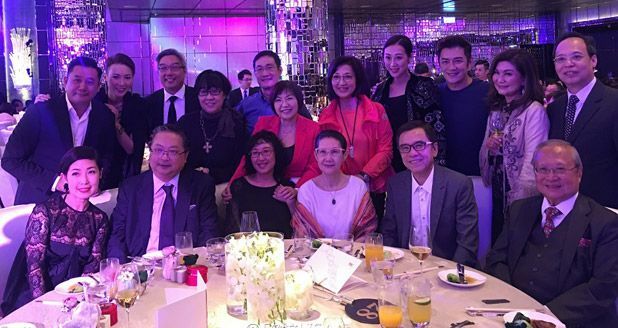 I have never seen this many tvb stars gather in one place before. It’s even grander than TVB anniversary. LOL. Congratulations to the couple! Virtue of Harmony Mother. hehe. 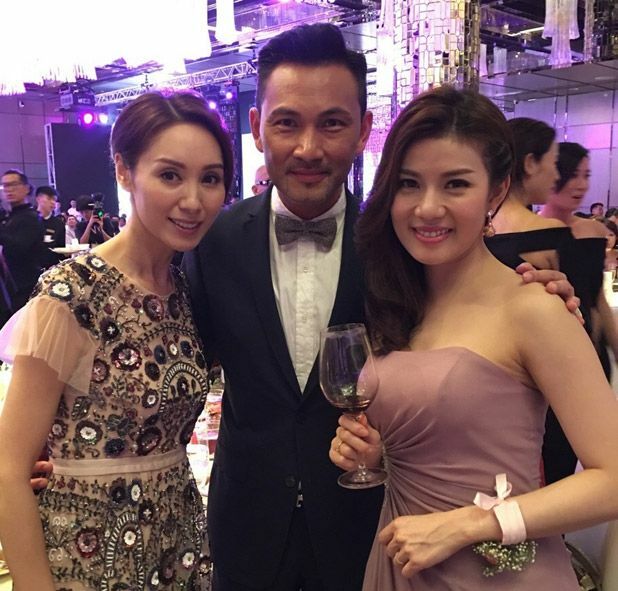 Kenix Kwok and Frankie Lam. Haven’t seen them in ages! 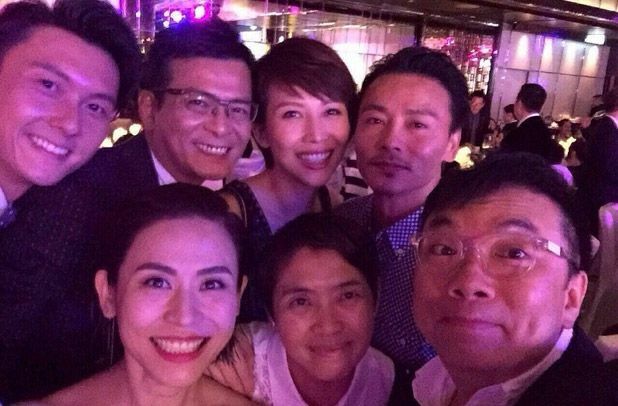 Vincent Wong, Felix Wong, Ada Choi, Max Zhang, Jessica Hsuan. I’m feeling overwhelmed…. Derek Kok and Lawrence Ng flanking the side. =======> ♦ Ode To Joy 2 began filming smoothly on 9/28/16. 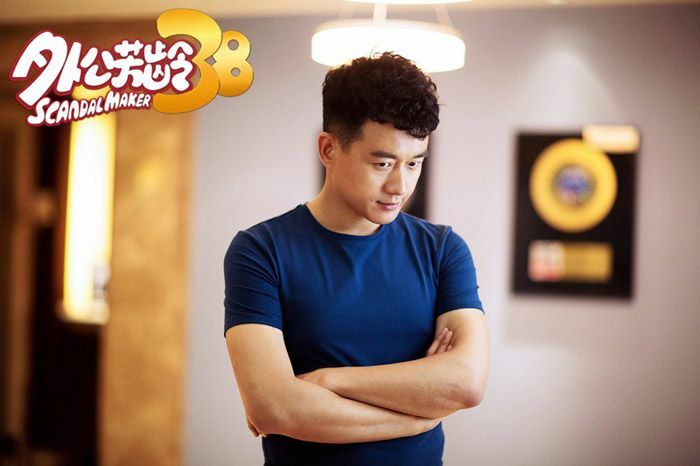 Chen Long is rumored to join, playing Jiang Xin’s love interest. 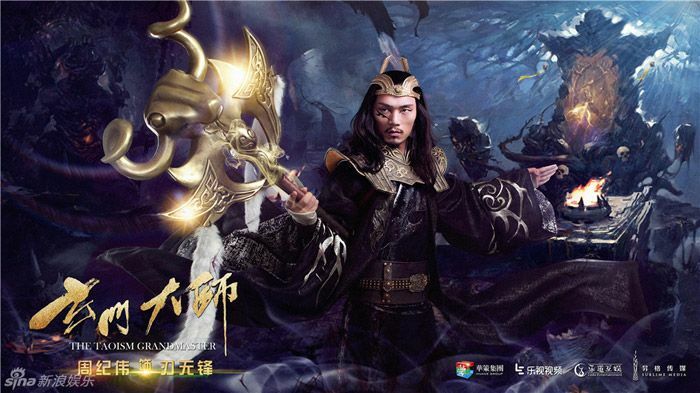 =======> ♦ Youth Campus drama, Beyond the Call of Aphrodite (初遇在光年之外) has Chen Ruo Xuan and Xu Jiao as the leads. Filming begins in October. 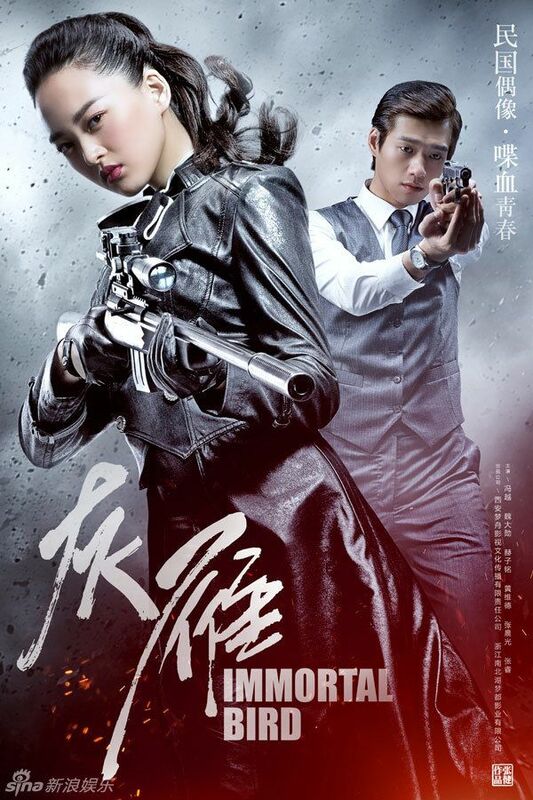 =======> ♦ Suspense novel, Special Crime Investigation (SCI) Case Collection (SCI谜案集) is being adapted into a film. Booting to being Mid-November. 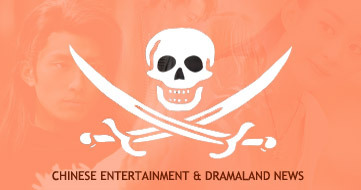 =======> ♦ A new webdrama from Ghost Blows Out The Light is in the making. 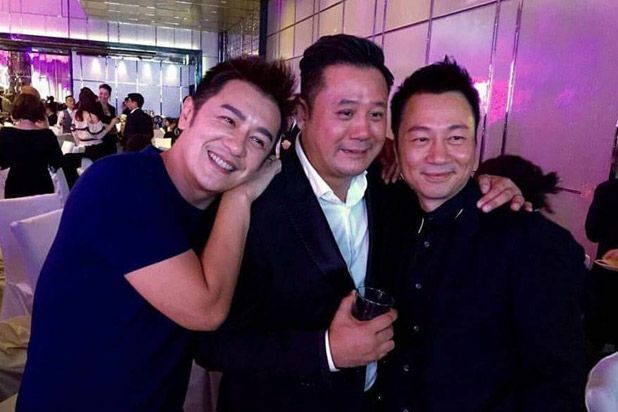 The chapter is called Gui Chui Deng Zhi Huang Pi Zi Fen (鬼吹灯之黄皮子坟) and names attached are Raymond Lam, Xu Lu, and Ethan Ruan. 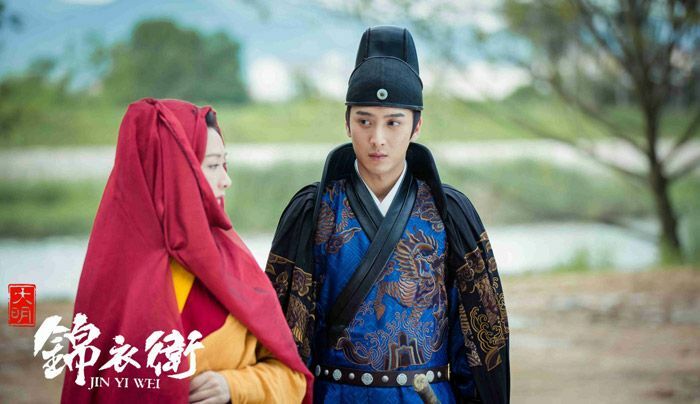 =======> ♦ A drama version of Sandra Ma and Zhou Dong Yu‘s Soulmate is being made. 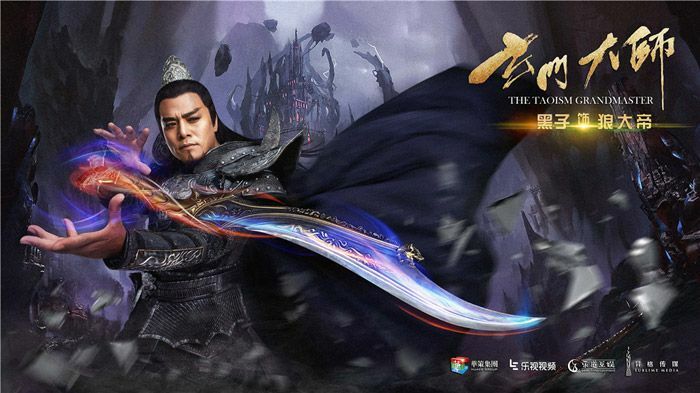 Recall that the movie is based on a short story called Qi Yue and An Sheng. I won’t bother asking why. Lol. 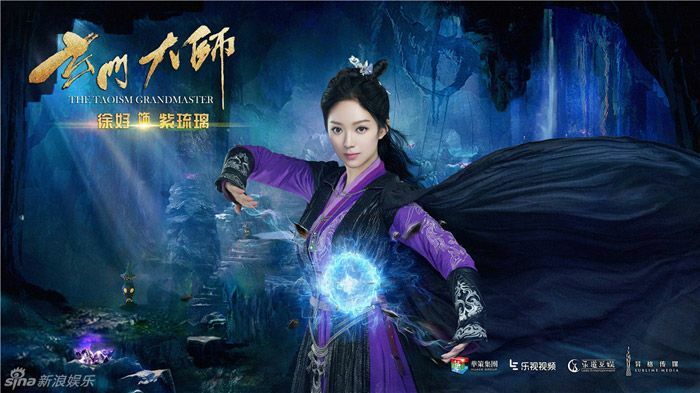 =======> ♦ Boran Jing is now a free agent, setting up his own studio. He used to be under H.Brothers. =======> ♦ The lovely Janice Wu might be leading in a new modern drama about plastic surgery, The World Does Not See Face (这个世界不看脸). 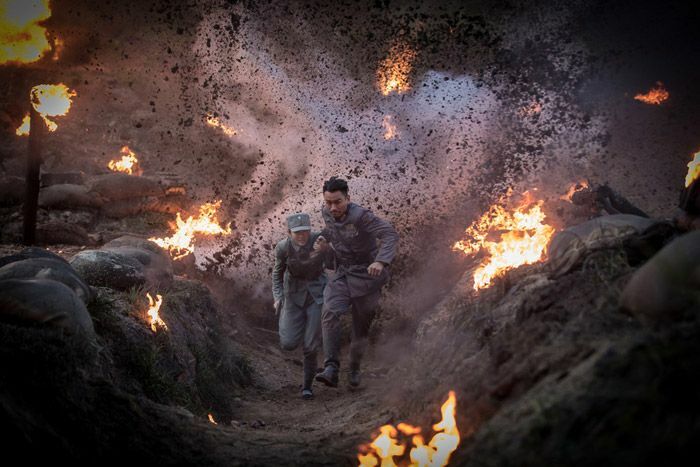 Filming to begin in November. 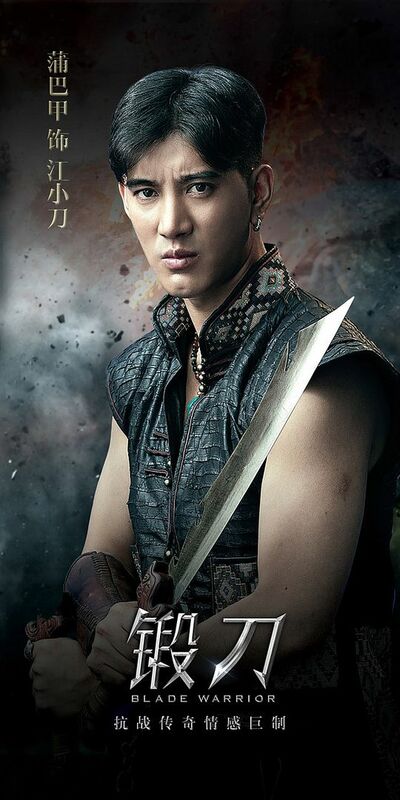 =======> ♦ Chen Xiao has shaved his head, ready to start filming drama adaptation of Nothing Gold Can Stay (那年花开月正圆) with Sun Li. Literal Translation I would say is… That Year Flower Blooms The Moon Is Full (see? I’m not poetic!) But oh boy, a lot of shaved heads running around this winter. Lol. 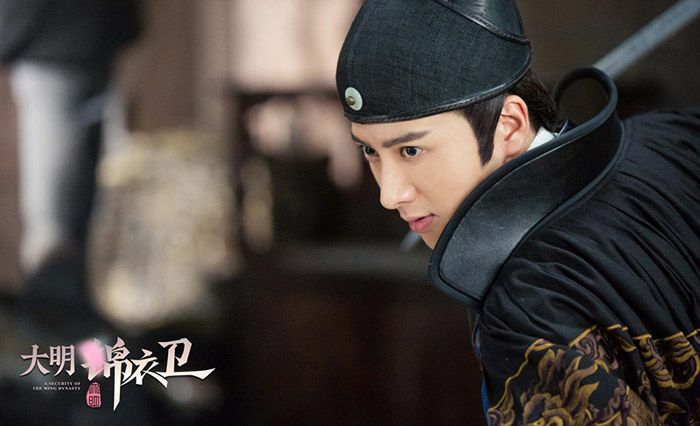 =======> ♦ Martial Universe (Wu Dong Qian Kun, 武动乾坤) confirmed Yang Yang a few weeks ago. 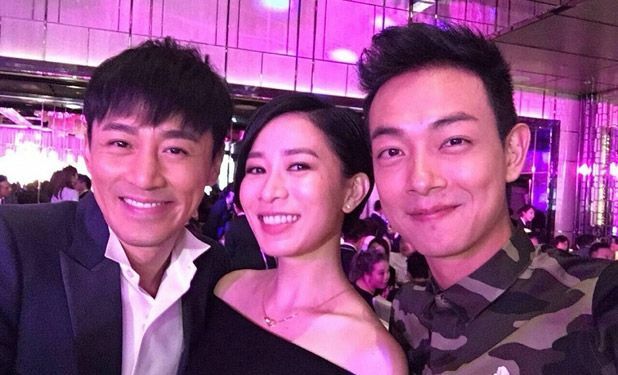 Reports spill that Zhang Tian Ai and Gina Jin are the leading ladies. =======> ♦ Liu Shi Shi‘s If Love Like This and Hu Ge’s Hunting Ground (Resume) are both brought by HNTV to air in the near future. 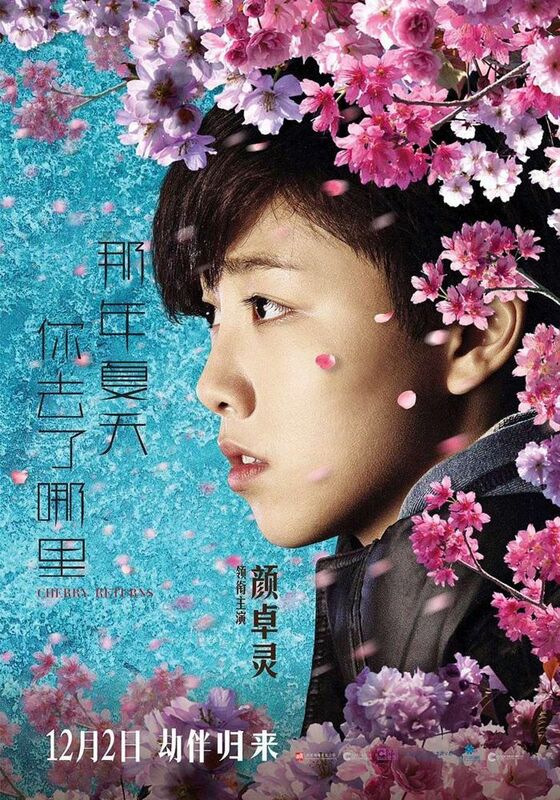 =======> ♦ HNTV is producing a new modern drama, adapted from the novel Time Knows (时间都知道), written by Sui Hou Zhu. OTP is rumored to be Ma Ke and Seven Tan Song Yun. 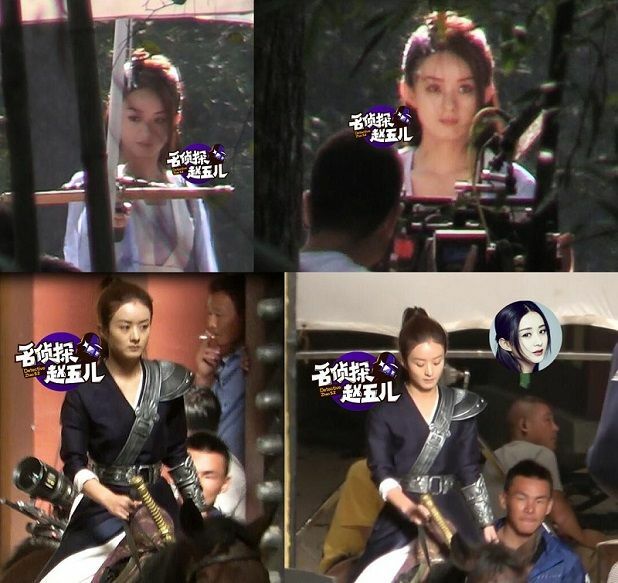 =======> ♦ Zhao Li Ying’s News Corner: She sends a video message to Zhang Han’s bday party. =======> ♦ Li Ying’s birthday is on October 16th. She will be attending China TV Golden Eagle Award. Awww. Poor thing. But I can’t believe she’s STILL being nominated for Hua Qian Gu. Let it gooooo! 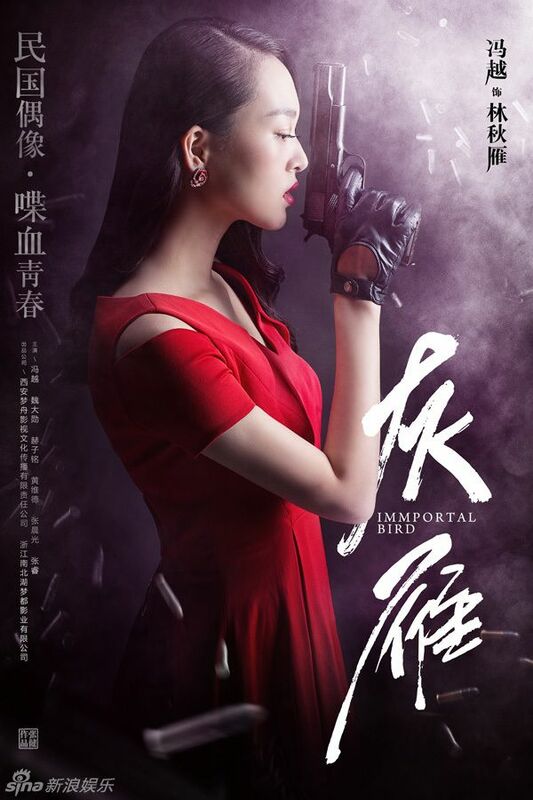 This entry was posted in Entertainment News, Music Videos, Soundtracks, Trailers Galore and tagged 10000 Miles, Angel Wang Ou, Ariel Lin, Beauty From Heart (这个世界不看脸), Betty Sun Li, Beyond the Call of Aphrodite, Blade Warrior, Boran Jing, Box Office Results, Cdrama, Cdramaland Newsbreak, Celebrity Weddings, Chen Xiao, Cherry Ngan, Cherry Returns, CMovie, Cpop, Crystal Zhang Tian Ai, Da Ming Jin Yi Wei, Darren Wang, Feng Yue, Gina Jin, Gui Chui Deng Zhi Huang Pi Zi Fen, Him Law, Hu Ge, Huang Zi Tao, Immortal Bird, Jackie Chan, Janice Wu Qian, Legend of Ravaging Dynasties, Ma Ke, Martial Universe (武动乾坤 Wu Dong Qian Kun), Megan Lai, Michelle Chen, My Egg Man, Nick Wang Kai, Nothing Gold Can Stay (那年花开月正圆), Ode To Joy 2 (欢乐颂2), Princess Agents – The Legend of Chu Qiao (处特工皇妃), Purba Rgyal, Railroad Tigers, Scandal Maker, Sean Huang Yuan, See You Again (Time Knows 时间都知道), Seven Tan Song Yun, Song Jia, Soul Mate (Qi Yue and An Sheng), Special Crime Investigation (SCI) Case Collection, Tavia Yeung, TFBOYS, The Taoism Grandmaster (玄门大师), Tong Da Wei, TwMovie, Wei Da Xun, Ying Hao Ming, Zanilia Zhao Li Ying, Zhang Han by Kappy. Bookmark the permalink. 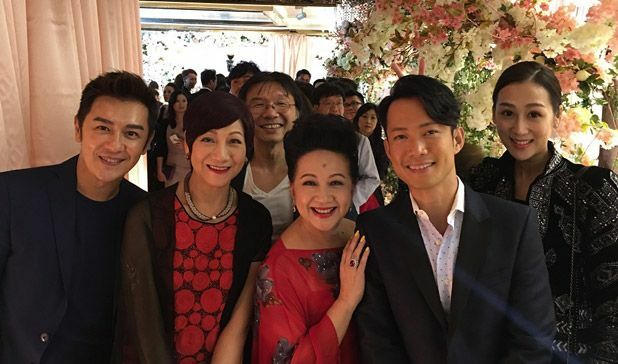 Wait, I thought Yang Yi was already married? Did she only hold the banquet now? 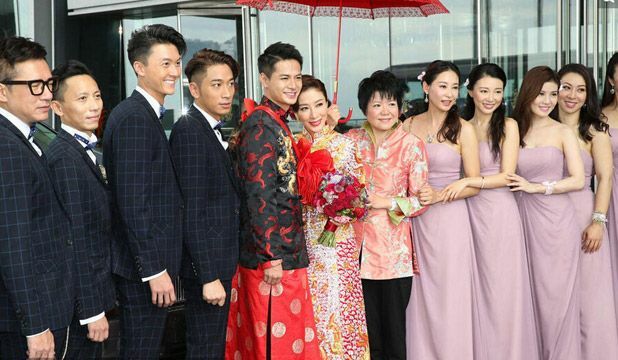 And really wow at the number of TVB/ex-TVB guests! Nostalgic to see them all gathered together like this. btw, any news about Ady An's new drama? I am waiting for that one too. 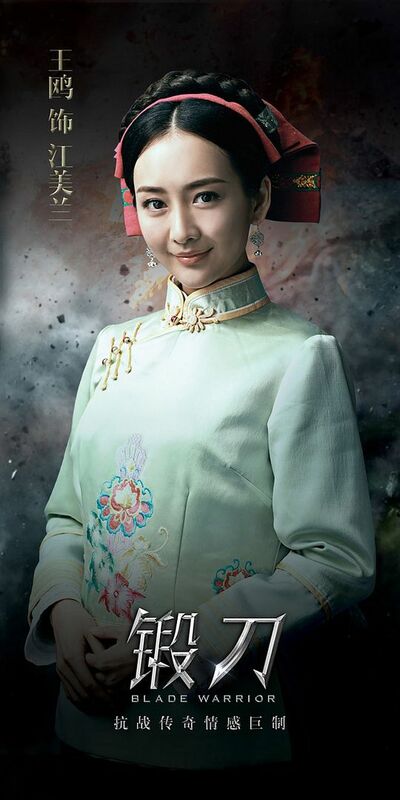 And Wang Kai-Chen Qian En's? Trust me, Yui, I’m waiting for Ady’s drama too! 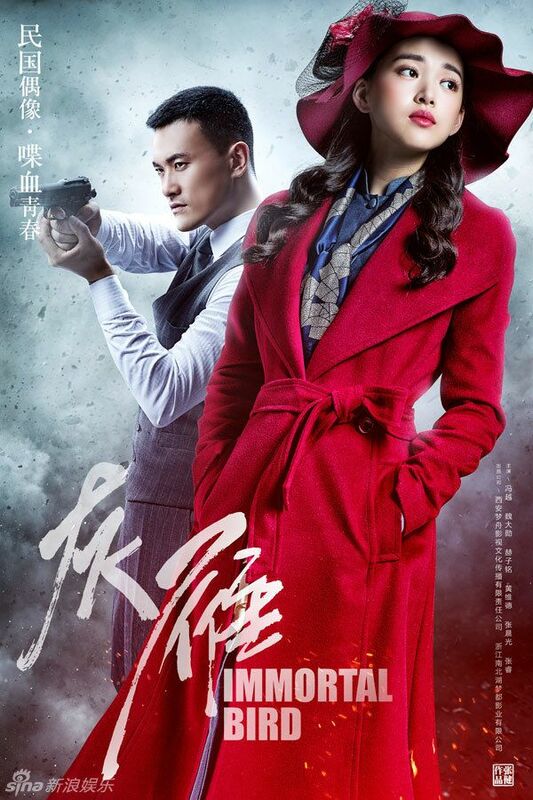 Nick and Chen Qiao En’s drama, I don’t think I can watch it but there’s no concrete news as well. In some angles, the girl in Immortal Bird looks like Chen Qiao En. Also, I like how she’s looking so far (and how intense she seems) but her voice is kind of bothering me. Like it sounds like she’s trying a bit too hard, a bit forced, that it brings me a bit out of the character. I also like her intense glare! Didn’t pay attention to her voice cause I was distracted. Lol. Thanks for bringing forward the Lake Baikal rendition. WuXin’s opening and ending themes are among my favorite.. serene, melancholic, and just makes me sentimental 🙂 And the little talent has such a soothing voice — I love it. 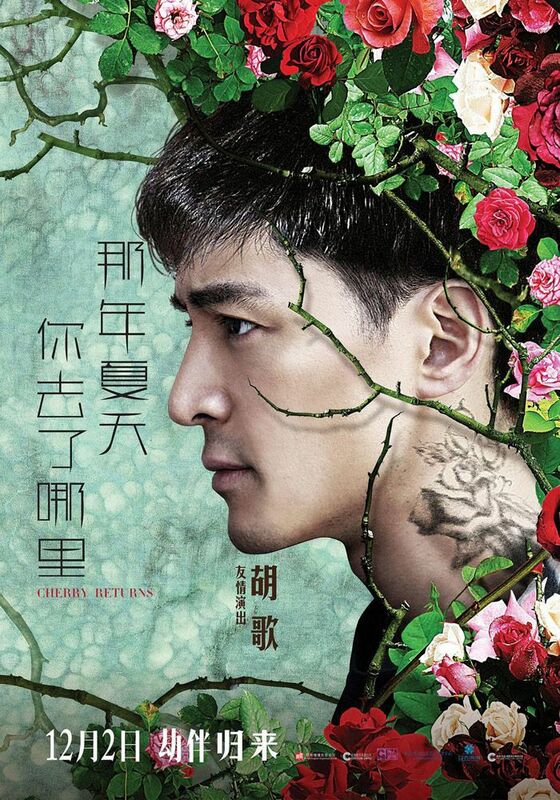 Cherry Returns is the new drama where Hu Ge is the antagonist, right? I read somewhere he supposedly has a sorta evil spellbinding on the leading lady. That is exciting! Yang Yang, Zhang Tian Ai and Gina in one drama?? I’m SOLD! Make it happen, pleaseeeee! Liying’s video greeting is too cute. Great to know she remains good friends with Zhang Han. They’ve always had great chemistry. Honestly, I’m not too fond of him, dunno why. That kid has an angel’s voice. I keep on repeating his version over and over. Smiling and wiping tears. Beautiful. 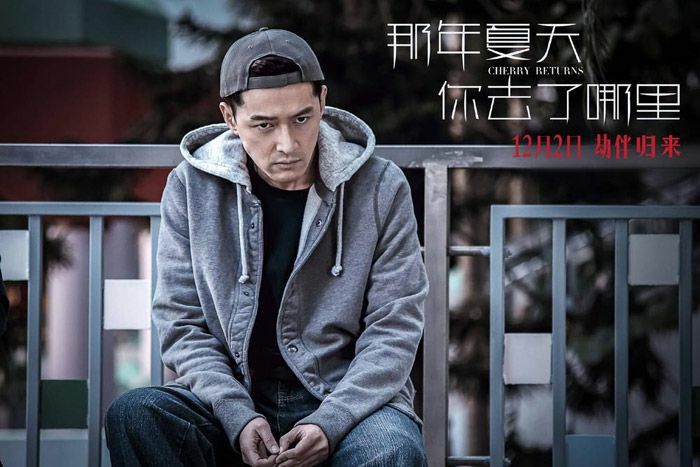 Cherry Returns is a movie. 12/2 release date. 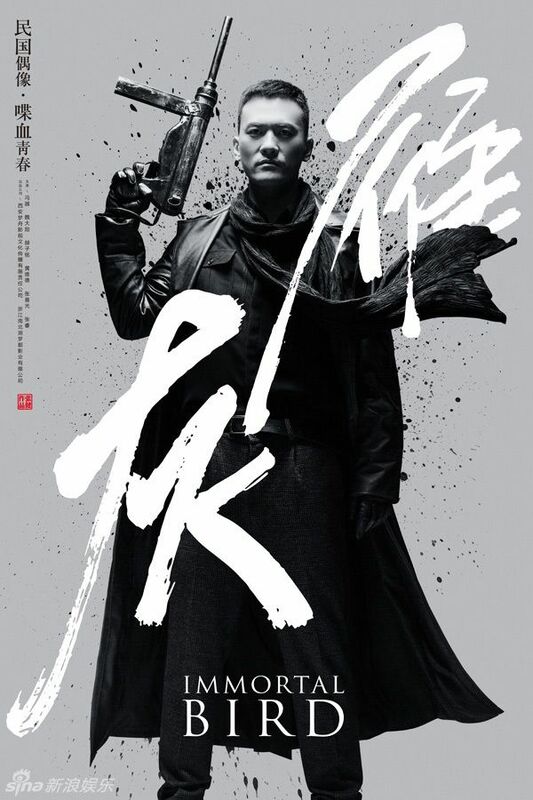 Hu Ge only has a cameo antagonist role but the production team is milking his name now with posters and stills. He filmed it before The Disguiser and only spent 10 days on set. Lol. Excited for the posters from Immortal Bird! Crossing fingers it gets an airing date not only on the TV stations but online too. 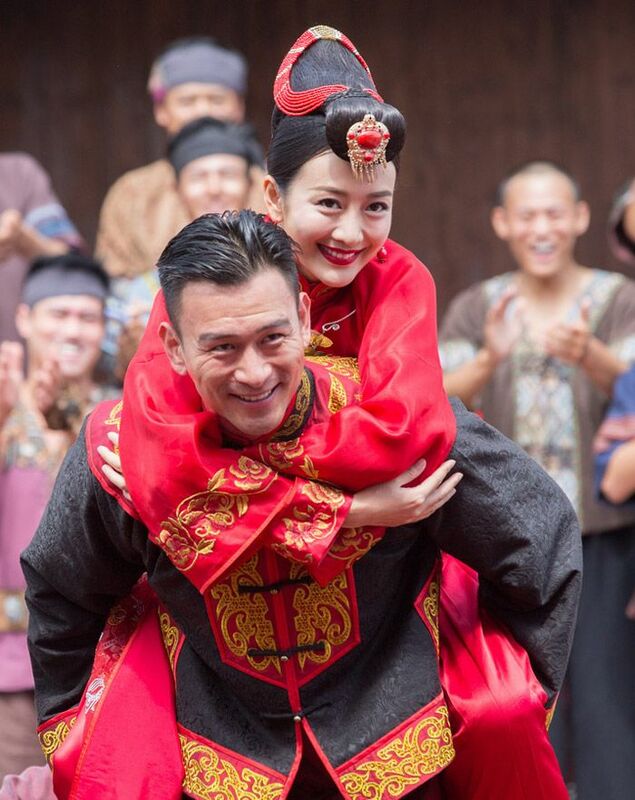 Being a Zhang Jie production, many of the secondary actors/actresses have worked together before. 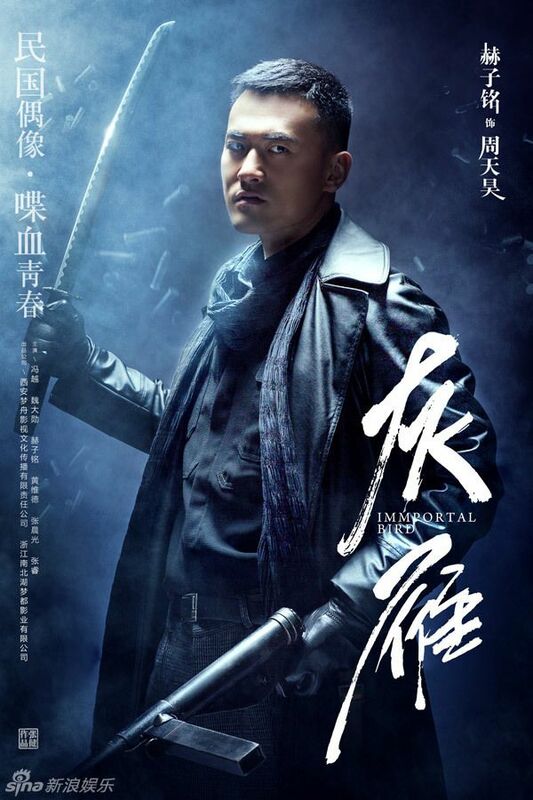 And Feng Yue only appeared like in the final episode of The New Snow Leopard, being a member of the Nationalist party. 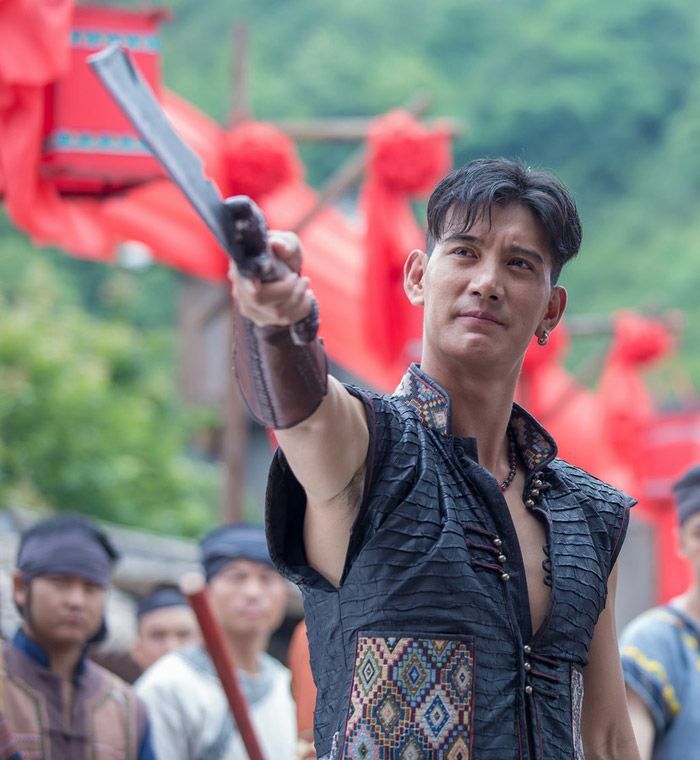 I wonder if Zhang Ruoyun’s “Black Fox” Fang Tianyi 方天翼 will be making a guest appearance in the drama, considering that his character was a part of the New Fourth Army. So many Republican era dramas! Sparrow and Rouge will be my last two for the time being. 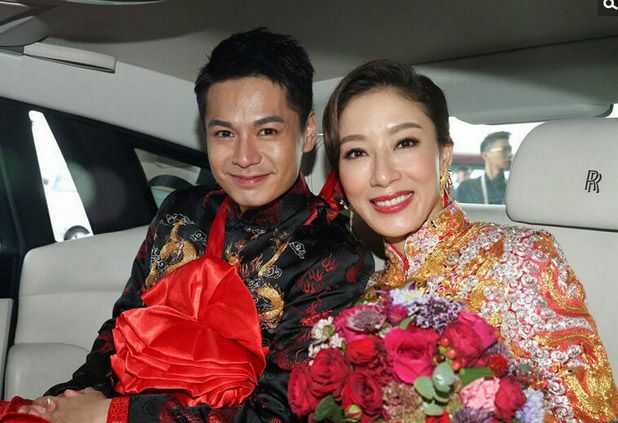 Him and Tavia’s wedding looks like the TVB anniversary party except with faces we haven’t seen in a while. I miss Kenix. Her series used to appeal to me the most. I wish they’d leave Soulmate alone. It’s fine as a movie but I don’t know how they’re going to drag it out in like 30+episodes without adding lots of plot twists and unnecessary people. It’s been almost a week since I watched I Belonged To You and I’m still not over it. Hope you guys can check it out whether in person or online. 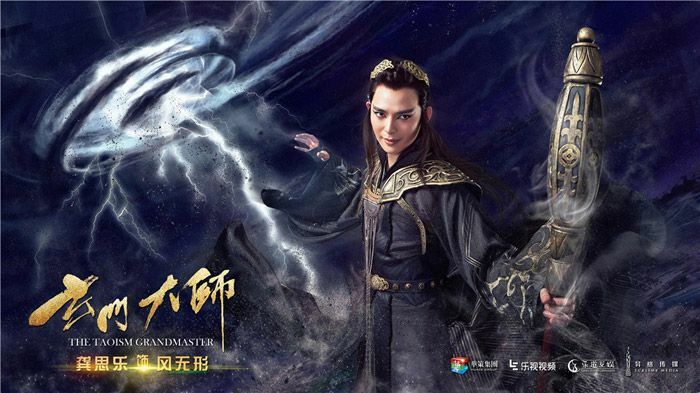 So excited for Martial Universe! I saw a picture of a chart on weibo about what dramas are being filmed and their filming locations. I think it was hanging at some event. 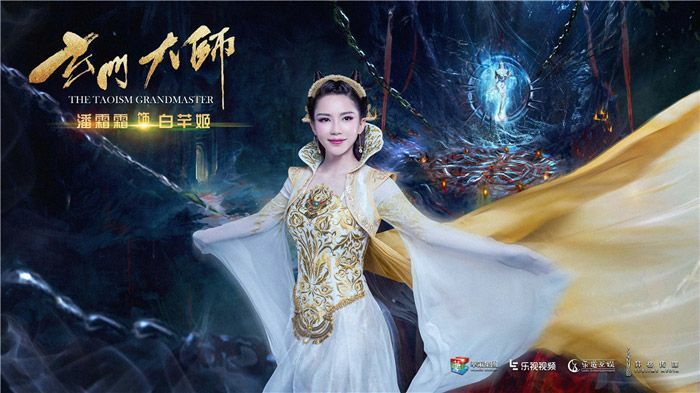 Pretty sure Zhang Tianai is going to star in this because her name and Yang Yang’s were on that chart. I didn’t know about Gina though. No matter, they will be a beautiful trio for sure. 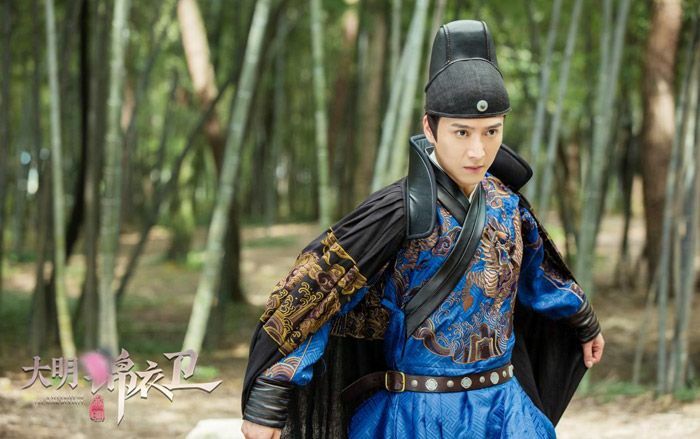 I’m so ready for a Hu Ge drama! Feels like he’s done a couple of cameos lately but nothing more. I was hoping you would binge more republican dramas, polaris! hehe! The wedding is more extravagant and definitely lacks the silly competition air. Everyone is simply happy to be there! I love it! 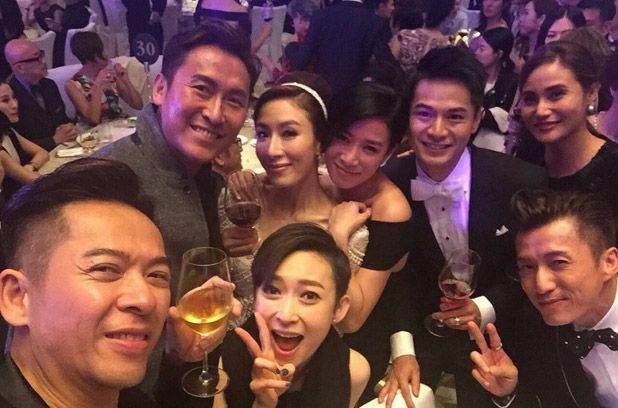 Tavia and Him’s wedding looks more star-studded and fun than the TVB anniversary galas XP I feel nostalgic now haha. 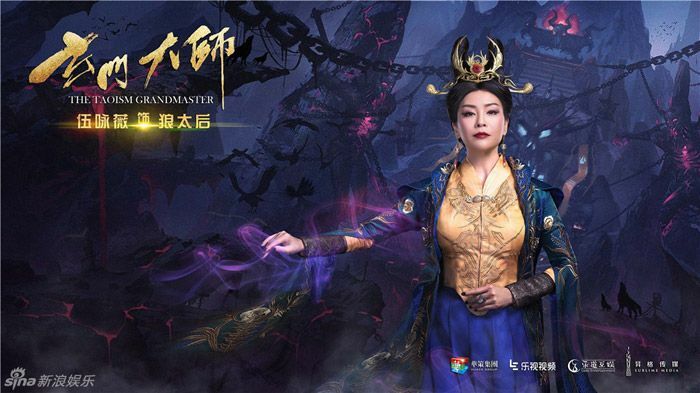 这个世界不看脸 sounds interesting, would love to see Janice Wu leading in a good drama. Shifuuuuuuuuu ;_; where have you been? I had wanted Crystal and Yang Yang to start in a drama together as a couple lol since Crystal had such a strong presence and lovely aura. It was attacked before it came out and probably by the distributors of the other movies that were screening. It got less than a 4 point rating even days before it came out. So rigged and so intentional. All the marketing blogs that were paid to trash the movie were so obvious too. 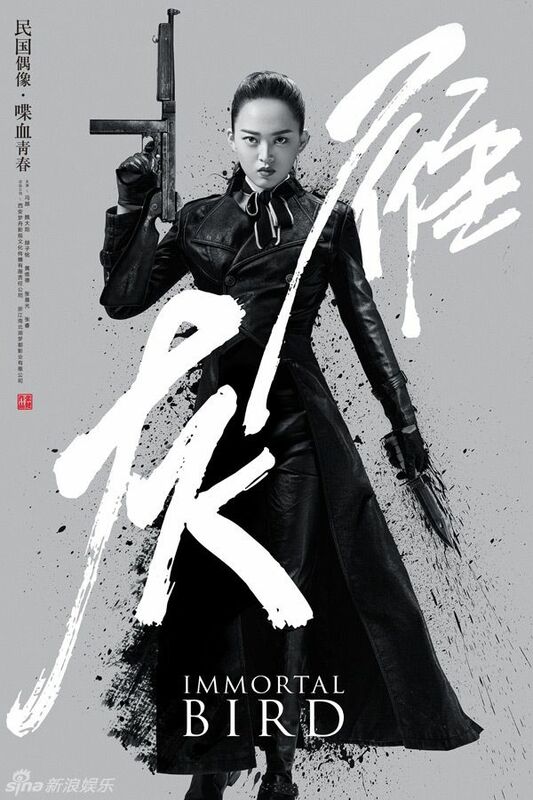 I’m glad that this movie exists because it’s China’s first real attempt at trying to catch up with Hollywood regarding CG. It’s a brave movie. A lot of passers-by who weren’t affected by all the black propaganda actually praised the effects and the story. It’s at least new and exciting. “I Belonged To You” was awful. Brought nothing new to the table. At least Operation Mekong was good though so it’s OK that it’s doing better than L.O.R.D. I would hardly call making over 300 million yuan “flopping hard”. its hard for me to imagine wayne lai playing the pig 15 years ago. lol. he’s such a veteran!!! angel wang ou in a republican drama! missed that classy lady!